Do you have a stash of makeup but don't know how to use it? Bring your makeup bag with you on October 3, 2015 and learn the basics of makeup application in a 3-hour Basic Day to Night Makeup Workshop with makeup artist and stylist Gail Sarion of Sarion Films. Whether you're a beginner who's just starting to use makeup or someone who already loves to experiment with colors, Gail will walk you through the different makeup products and tools and the basics of appropriate day and night makeup. She will also show you the step-by-step of makeup application and how to transform day makeup to night makeup. After the demo, you can bring out your own makeup kit for consultation. Whatever existing products you have, Gail will help edit out your kit according to what suits you and give advice on what makeup will work best on your skin tone. She will also share and demo practical makeup tips and tricks. The Basic Day to Night Makeup Workshop will be held at The Bunny Baker Cafe, Quezon City from 1:00pm to 4:00pm. Workshop fee is Php500 only, which is inclusive of cafe snacks and drinks. Online registration starts on September 22, 2015. 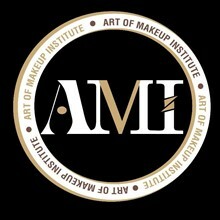 To register, go to http://www.speedycourse.com.ph/courses/21054/basic-day-to-night-makeup-workshop. You can pay via PayPal and credit card. Limited slots only! UPDATE: Walk-in participants who will pay on the day of the workshop will be accommodated only if there are still available slots. 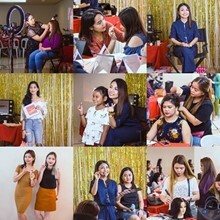 Gail Sarion is the Chief Make-up Artist for Sarion Films (an independent production company), In-house Stylist for Alabang Town Center, and Make-Up Workshop Facilitator for corporate personal development programs. 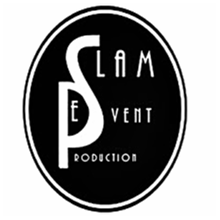 She is also a freelance make-up artist for all types of events. In 2011, with her husband’s encouragement, she started to freelance for events. When she and her husband put up Sarion Films together, she also took over all make-up and styling for their shoots. In 2014 she started offering Make-up Workshops to companies after receiving good feedback from Sarion Films’ corporate clients who asked her to facilitate make-up workshops for female employees as part of their personality development programs. You've successfully shared Basic Day to Night Makeup Workshop. An error occurred while sharing Basic Day to Night Makeup Workshop. Please try again.